Huntsville Hardware is an exclusive distributor of Custom Lumber Manufacturing Company Plantation Cypress and Plantation Pine paneling, ceiling, siding and flooring products. 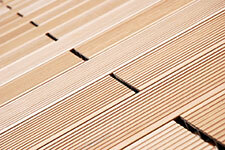 Visit our products page to see the many wood patterns that are available for ordering. Serving North Alabama since 1934, join us as we celebrate over 75 years in business. 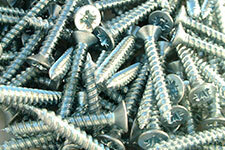 We offer a wide range of hardware and building supply products. Whether you are a do-it-yourself homeowner or a licensed contractor, Huntsville Hardware is here to serve you with a wide range of building and construction items and services. With over 18,000 in-stock hardware products and supplies, Huntsville Hardware offers a complete line of home improvement and building materials. Wide selection of lumber and specialty wood including cabinet making hardwood, furniture hardwood, pine, spruce, plywood, and more. Huntsville Hardware offers one-on-one service, support and instruction in a wide range of hardware related services. We will work with you to meet your construction and home repair needs. Huntsville Hardware is a family owned business specializing in meeting the needs of our customers. Sales and personal services on a complete line of hardware and building materials for the do-it-yourself enthusiast to seasoned professionals. Call, email, or visit us for any and all hardware needs. With a rich history, our local business has been a fixture in the historic West Huntsville district. 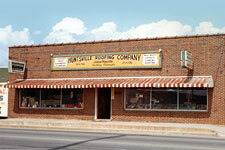 Huntsville Hardware has been locally owned and operated by the same family since 1934. Huntsville Hardware and Building Supply is a proud member of several professional organizations including the North Alabama Better Business Bureau and the Huntsville Madison County Builders Association. Looking for a particular product or item not featured on our web site? Call or Email Huntsville Hardware and we will find what you are looking for. We offer local delivery in the Northern Alabama area and nationwide shipping anywhere in the United States. © Huntsville Hardware and Building Supply Inc. All rights reserved. Web site design by altlab.com.